This is an uncomfortable precedent to set. Ideally, the Hex Crank experiment will result in an assembly of Complete Survival Horror Experience. Anyone who has heard me obsess over The List can attest to my desire to be thorough. But Personal Nightmare maybe wasn’t meant to be beaten or understood, and I’d rather write about a game than repeatedly be devoured by ghouls in a fruitless attempt to complete it. Personal Nightmare was published by Horror Soft Ltd. in 1989. 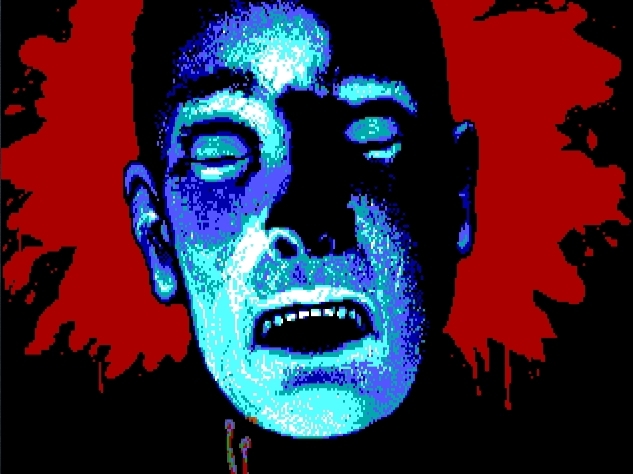 A sub-label of Adventure Soft Ltd., Horror Soft was a venue for adventure games that could take advantage of the graphical capabilities of modern Amiga, Atari ST, and DOS machines. This, of course, meant using the extra pixels to represent more faithful and accurate gore. 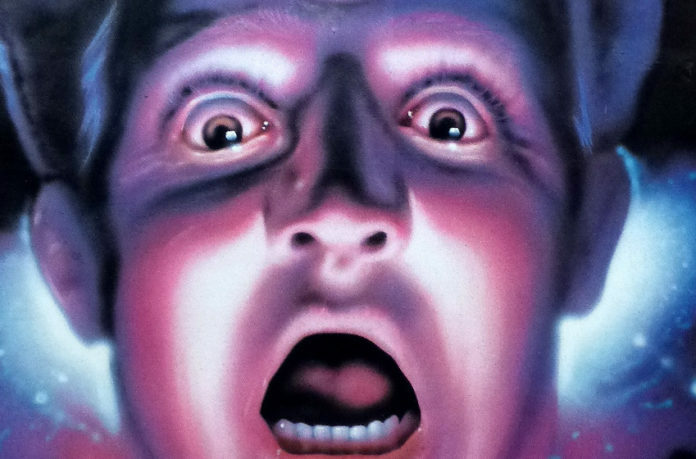 Another Horror Soft game, Waxworks, shows up a little bit later on the list, and I’m dreading it already. I may even remove it from the list entirely if my attempts to play it are as fruitless as this. Before moving on to Personal Nightmare itself, it’s incumbent upon me to mention that Horror Soft hitched its wagon to the shooting star that was Elvira, the Mistress of the Dark (nee Cassandra Peterson), hostess of the B-movie clearing house Movie Macabre from the early ’80’s. Known for her devastating cleavage and Valley Girl affect, Elvira follows in the footsteps of such late night luminaries as Vampira and Ghoulardi. 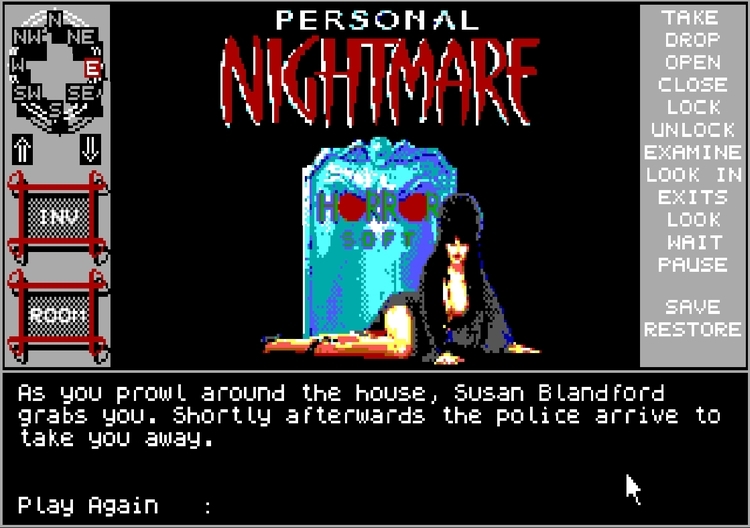 Elvira is featured prominently on the title screen of Personal Nightmare, and Horrorsoft published two Elvira RPGs shortly after Personal Nightmare. I’m not playing these for the blog, since they’re dungeon crawls and you can’t make me. In a manual that is nearly lost to history, it is explained that you are a vicar’s son who moved away from the tiny village of Tynham Cross in order to pursue careers that don’t involve making barrels or filling barrels. One day, you receive a letter from your mother, entreating you to return to your hometown. Upon your arrival, you find that she and your aunt have gone missing, and your father has rented you a room at the Dog and Duck pub in order to keep you away from the family Parsonage. Of course, since you’ve watched the game’s intro, you know that your priest father has been vaporized and replaced by Lucifer, The Devil, the Morning Star incarnate. Oh, and he brought friends. The title Personal Nightmare brings really neat things to mind. It prepares the player to experience the sum of a person’s worst fears… to be laid bare against a reality crafted specifically in response to the individual insecurities and phobias of the protagonist, revealing poignant truths about the way that they (and all of humanity?) relate to the world around them. That’d be a cool game, but Personal Nightmare ain’t it. Instead, it’s a story about a small town with things to hide. This is a conceit I can really get behind. Just look at Twin Peaks or The World’s End. Sussing out the resident vampires and hell-hounds of a tiny hamlet is a bit more prosaic than fighting off rust-colored manifestations of past abuses… but it can still make for a good game. It’s the late-80’s Infocom-style trappings that really ruined it for me. Personal Nightmare is kind of like The Last Express in how it treats the passage of time, except it gives you no means of tampering with the clock. People walk around, go about their business, and get hit by cars on a predetermined schedule… and it doesn’t much matter if you’re present or not. Since there are things that go bump, this also means that nighttime is especially dangerous for you. The ever-present church clock is quick to remind you that nightfall is coming, and if you remain on the streets for a single turn past your curfew, a Dracula will take all of your blood away from you. This plays into a larger problem for the game: There is a concrete four day time limit that you’re fighting against at every turn. This means you only have so many actions available to you before the game is rendered unwinnable. Since every movement is precious, there is a tremendous amount of trial and error associated with any attempt to make progress, which means you have to manipulate your save files… which means you’re not really playing the game, you’re playing the “game”. This limitation eliminates one of the joys of adventure games (and of survival horror games by default): the luxury to learn about the world. Personal Nightmare asks you to gather evidence for the police about the goings-on in Tynham Cross, but gives you very little opportunity to do so. The result resembles a harrowing sword-and-shield battle against marriage certificates and prayer books, where the consequence for even daring to pick up an extraneous item is being exsanguinated by a witch. Let me paint a picture of my attempts to play this game for you. It was Thanksgiving week, which meant I was committed to several family events (which automatically take precedence over video games). In my spare, furtive moments, I scratched at Personal Nightmare, “examine”-ing and “look”-ing my way to certain death… or maxing out my inventory by collecting towels and doodads. I attempted to follow this walkthrough, FOR YOU, so I could see as much of the game as possible. Even still, I hit a wall somewhere after I staked the hell-hound, but before I could futilely attempt to swing across a destroyed floor. After about a week of trying, I eventually opened my text editor of choice and began writing this article. The promise of Personal Nightmare is pretty cool. Even though you know throughout the whole game through that you will ultimately kill your father and banish the Devil from your hometown, the idea that you are investigating insidious crimes and taking down extradimensional beings with mundane evidence is pretty neat. I never got to that point, and I doubt that many people will. For as much as I’m willing to take copious notes and draw maps on graph paper, this game was baffling and confounding. It’s in a weird spot, no doubt. If it was a pure text adventure or a pure graphical adventure, it would have been successful. However, it tries to have everything… meaning its systems are too baroque to be treated as a LucasArts-style game, and its writing isn’t strong enough to be a text-based game. 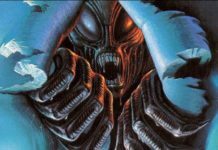 Personal Nightmare is an adventure game with horror themes, so it has throughlines to Alone in the Dark and Resident Evil… but so many of its fatal shortcomings are tied to an era of gaming that those ur-examples of survival horror deftly shed. As such, it’s a missing link that won’t be missed at all. You’ll probably see it on sale at GoG.com. That’s how I got it. But it usually goes on sale alongside really good survival horror games.